SCADA Systems - Signal Alert Transmitters & Pager Systems. Timberline Radio Systems Ltd., provides clients with services that include SCADA Monitoring for Water and Hydro Electric Facilities, enabling Wide Area Paging Alerts and Extended Phone Line Communications. 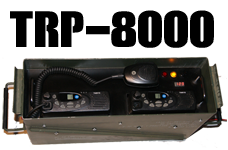 Additionally, we engineer Telephone Interconnect Systems and Integration of Two Way Radio and Signal Paging Systems. Applications include SCADA Pagers, SCADA Alert over VHF, VHF & UHF Radio & Radio Repeater Systems. Nearly all newer SCADA systems now run over wireless bridged networks. A Wireless Bridge is a technology take off of WiFi, that simply harnesses the power of IP Networks that bridge the gap of a wired network for device controllers such as PLC (Programable Logic) controllers. Examples of bridged PLC systems might include sewage treatment plants, where the pump station is situated far away from the primary plant. In order to pump the storage tanks through mahy miles of pipe, the treatment plant must signal the pump station that, in turn, triggers the PLC controller that turns on the pump. A properly engineered SCADA network will last for years. Every system requires annual maintenance which includes attention to antennas, cables, back-up batteries, power supplies and inter-connected devices. We offer maintenance packages that include annual tuning and necessary replacement of parts where required. We understand your safety depends on our knowledge and workmanship. We supply the Barnett Brand of Engineered Products; considered the most reliable SCADA interfaces.